The flower arrangements are ready. The organic menu looks wonderful. The two-seat bicycle, your stand-in for the limo, awaits the big day. There’s just one thing left to decide – will he wear a tuxedo or a suit? We know a tuxedo when we see it, and it usually has something to do with the satin lapels. A two-piece tuxedo also comes with a satin line down the pant leg. The other key features are satin buttons and flap pockets. The classic tuxedo is black, but white or midnight blue tuxedos are also popular. If you search hard you may even find pink ones. 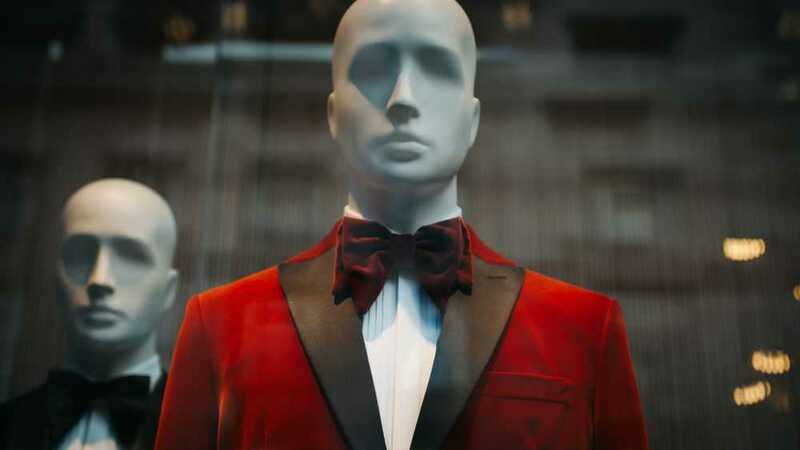 Regardless of their color, tuxedos are usually worn with a white dress shirt, a waistcoat, and a bow tie. If you’ve known him since high school, he may have already worn a tuxedo at the prom. Tuxedos are popular at proms, galas, and balls. Not just at weddings. 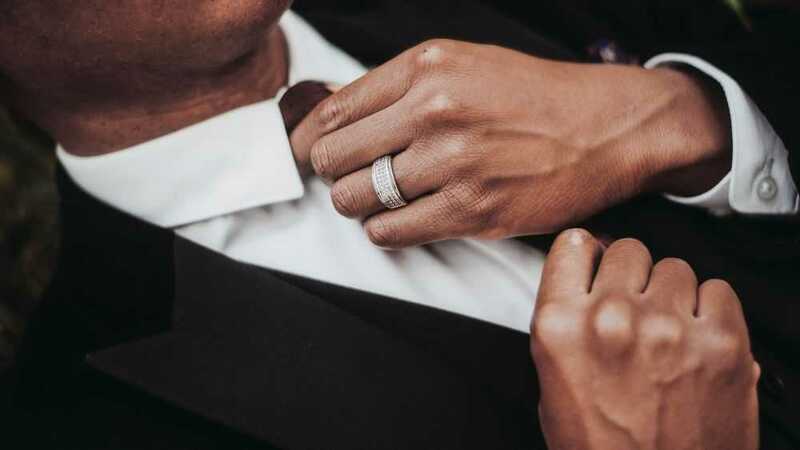 While the definition of a tuxedo may have changed over the years, tuxedos differ from suits in a few significant ways. Lapels – A tuxedo comes with satin lapels. By contrast, the lapels on a suit are of the same material as the rest of the suit. This is the easiest way to tell one from the other. Satin buttons – Tuxedo buttons are usually also made from satin, unlike those of a suit, which can be made from bone or covered by fabric. The satin buttons add an extra bit of elegance to a tuxedo. Satin piping – A long satin line down the pant leg is a common feature of two-piece tuxedos. Suit pants don’t have this. Shirt style – Tuxedos call for a white dress shirt with a turndown or winged collar. Suits are more versatile and allow for different shirt styles and colors. Depending on the theme of your wedding, this may make a difference. Shoes – Etiquette calls for black patent leather shoes. 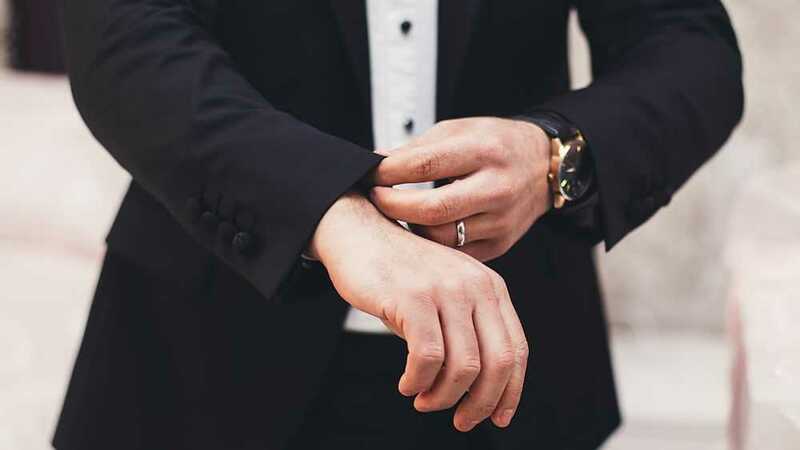 Slip-ons or loafers don’t go so well with tuxedos, even though they are considered perfectly acceptable with suits, at least most of the time. A tuxedo tends to be more expensive than a suit. 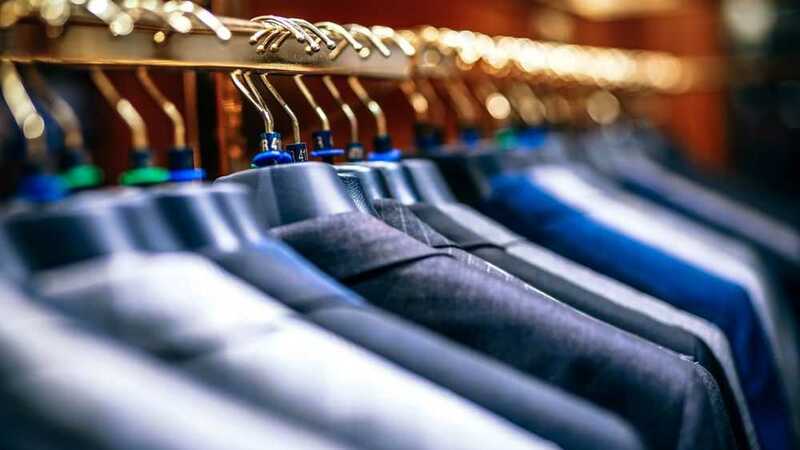 You can expect to pay as much for your average two-piece tuxedo – jacket and pants – as for a high-quality three-piece suit. You also need to factor in the shirt, vest, tie, and shoes, as well as possible alterations. But if you’re settled on a tuxedo, you shouldn’t let the price get in the way. The price difference between a tuxedo and a suit isn’t a deal-breaker. 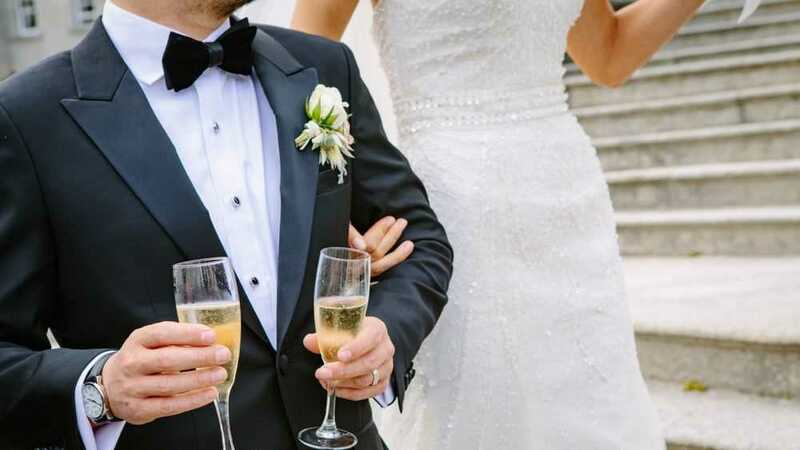 You have plenty of options to choose from and a high-quality tuxedo is worth the extra money. Even if he can’t wear a tuxedo as often as a suit, a tuxedo remains a good choice for formal events. The difference between a tuxedo and a suit is not just one of design. When making your choice, you need to factor in a few other important things. Time of wedding – Will your wedding stretch into the night? A tuxedo can be a good choice if the wedding starts in the afternoon. But if you’re planning a daytime wedding, a suit is safer. Remember: a tuxedo is considered evening wear. He may get away with it if he looks good in it, but your in-laws will probably never forgive you. Bride’s wear – A tuxedo is a perfect match for a formal bride dress. But if the bride opts for a more casual dress – or pants – a suit is a more reliable choice. When in doubt, choose a suit. Wedding theme – Tuxedos are mostly for black-tie weddings. The satin details may seem a bit over the top if everyone else shows up dressed in a suit. But if you’re planning on a more special wedding, say in a canoe gently floating on the river Amazon at sunup, with a shaman for a priest, a suit won’t be ideal either, for reasons that transcend mere etiquette. His preference – Does he feel good in a tuxedo? Does he already have one that he really likes? 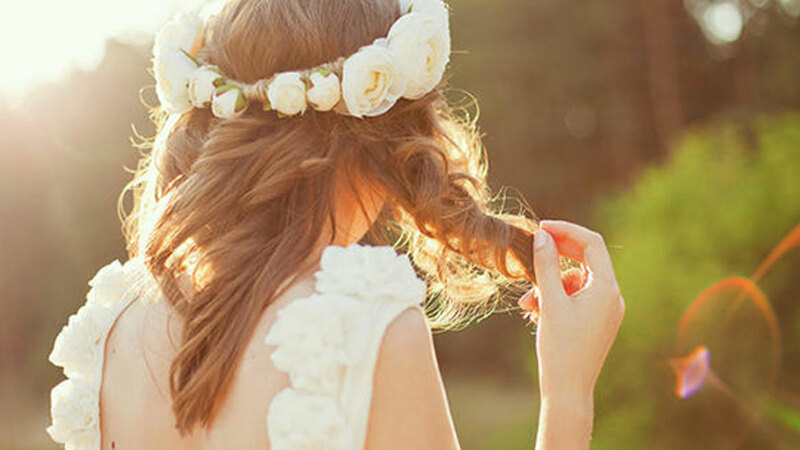 That may be enough to make your wedding a little less casual than you intended it to be. Tuxedos mean elegance, but they don’t have to mean stiffness. Either a tuxedo or a suit can be perfect for an organic wedding. The difference between a good quality tuxedo, cut to size, and some random tuxedo bought at a sale is pretty much the difference between elegant evening wear and a penguin suit. Classic fit – The full cut body style makes an immediate impression. This suits most men, regardless of their constitution. Modern fit – Narrow through the body and with narrower lapels, the modern fit is easy to find in stores. It is also a versatile choice, though the tighter fit means you need to get the measurements right. Slim fit – With slim lapels and a shorter length jacket, this style has a slimming appearance. The slim fit tuxedo often also has higher arm holes and higher rise pants with a tapered leg. When shopping for a tuxedo, it’s good to know that a tuxedo is called a dinner jacket in Britain and in other countries a smoking. Knowing that all these terms refer to the same thing can make shopping online for a tuxedo easier. Choosing between a tuxedo and a suit is more than a matter of taste. At first glance, the difference may not seem all that significant. But often, tuxedos have that extra dash of elegance inherent in their design. He may wear a suit at work and for other special occasions, but a tuxedo can make him stand out at the wedding. He deserves that, doesn’t he? Unless he would stand out for all the wrong reasons. In which case, you can’t go wrong with a suit. But what if his prom tuxedo still fits him? Add to that the tandem bicycle and the organic menu, and you could be in for a really special wedding.